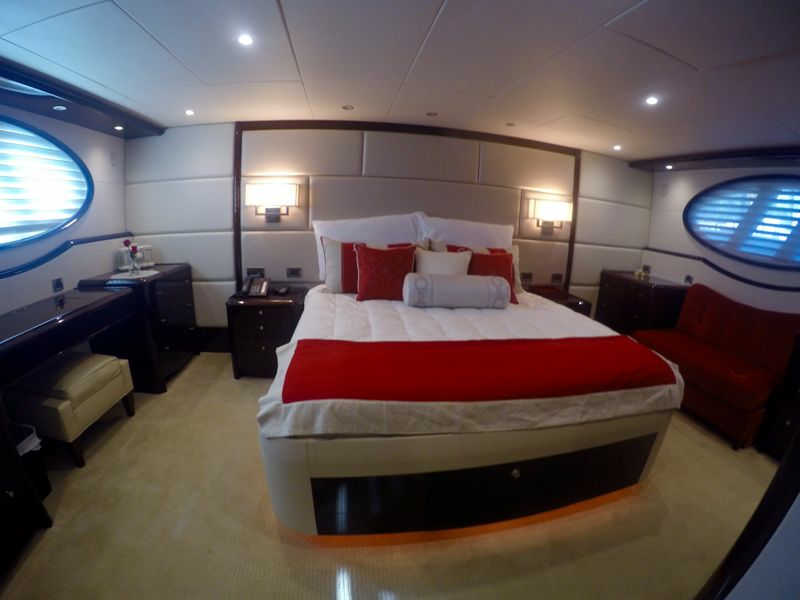 LA BALSITA accommodates 10 guests in 5 staterooms. 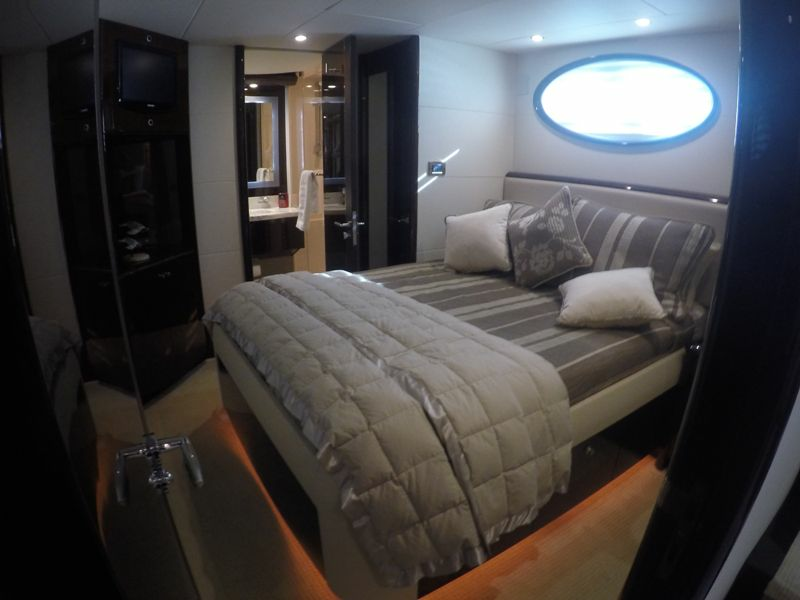 Master King-size stateroom with ensuite master head, full entertainment center and large closets and vanity. 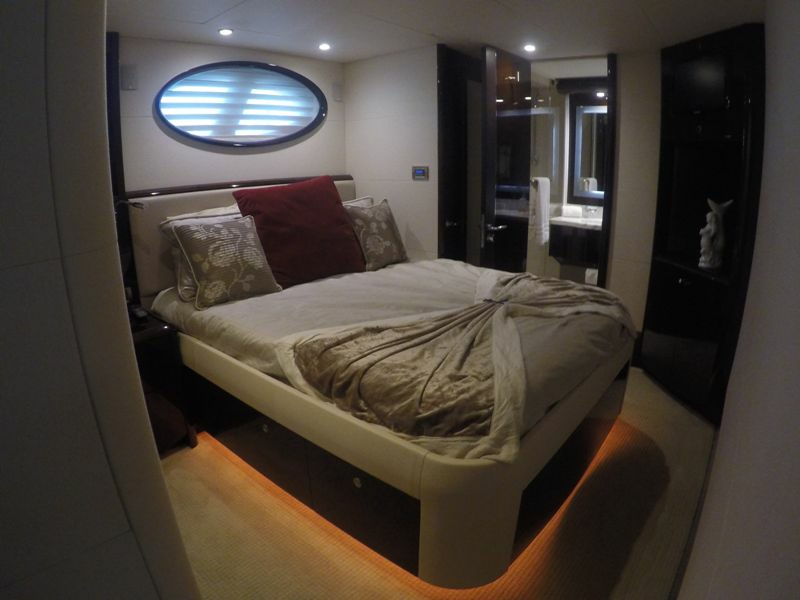 (2) Queen-size guest staterooms with ensuite heads and full entertainment center. 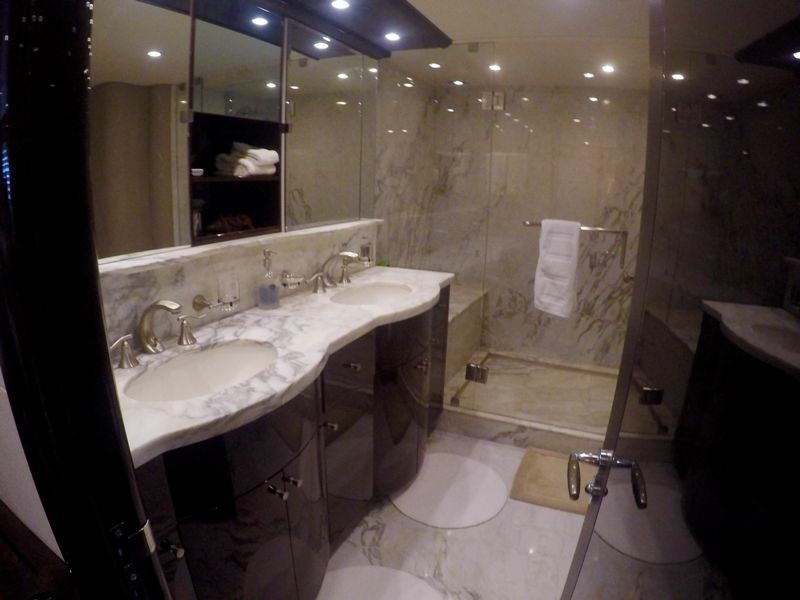 (1) Double guest stateroom with ensuite head and full entertainment center. (1) Twin-bunk guest stateroom with ensuite head and full entertainment center. 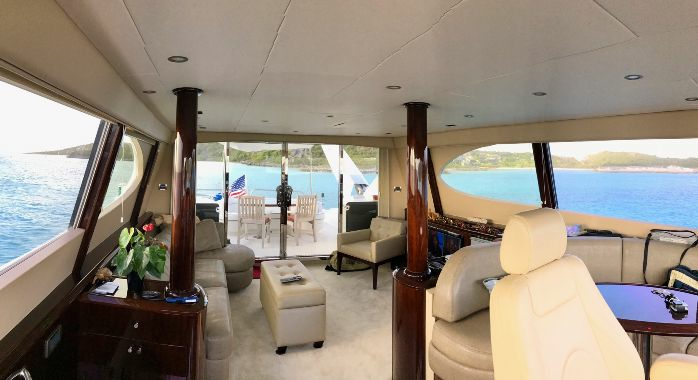 Her large main salon has expansive windows giving a very airy feel to the yacht. She has a large formal dining area inside. A full open Galley is complete with refrigerator, oven, stovetop, dishwasher and a center island. She has a full-size country kitchen with seating for all10 guests around an informal dinette. 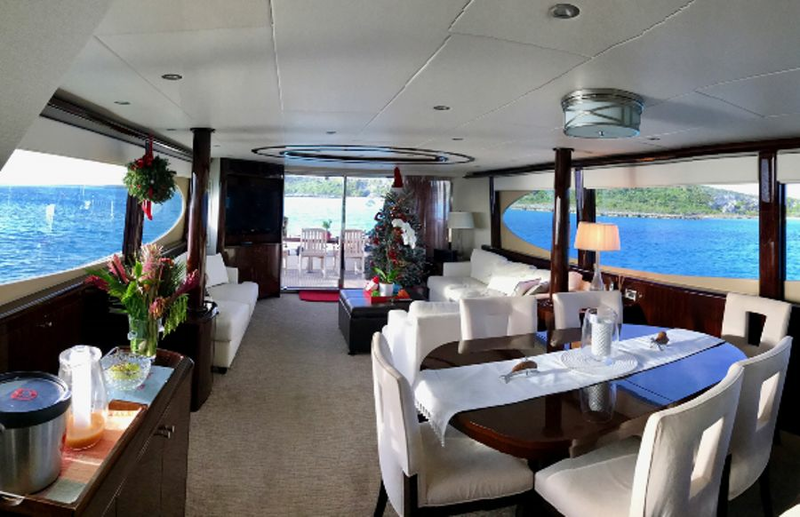 She has a large covered aft deck with wetbar and large table for alfresco dining. Enclosed skylounge with spacious couch, arm chair and TV, wide sliding doors opening onto the top deck featuring sun shade, electric grill and another alfresco dining area. Her bow is accessed by wide, safe side decks and offers a large sun pad area. Her updated entertainment system includes premium channels. Direct TV in every stateroom as well as an extensive digital movie library accessed through Apple TV. "This Model of Lazzara 84 is without a doubt the most fuel efficient yacht in class using about 20% less fuel than yachts of comparable size) resulting in lower costs for charterers ".